TONY H bringing the Last Frontier some much needed FIRE [Featured Interview] - EDM Daycare | Best EDM Blog | EDM Blog for Music Festivals, Electronic Dance Music, & it's Incredible Culture! Alaska has been called the last frontier, but what if I told you it’s the new frontier for up and coming DJ’s in the EDM scene? I spoke with an Anchorage local DJ and record label “Late Night Munchies” creator TONY H, about becoming a pioneer in the budding Alaska EDM scene. With an EP rising on the Beatport charts as of this week, we’re all curious to see where this hard working magician of sound goes to next. So TONY, how did it all start for you? Basically it all started back home in Panama. I was working at the front desk at a hostel called Luna’s Castle, and I would always play music for the guests upstairs. Once my boss finished building the bar under the hostel, he offered me one of the slower nights which was a Wednesday to basically dj for the guests. Once it got busier I basically combined my night job which was being a club promoter for all the major clubs in Panama and Djing. I hosted and DJ’d a college night Wednesdays at the bar which is called Relic. So has Panama always been home? And how did you find your way to Alaska? I am originally from Louisiana, but I was raised in Panama City, Panama. While my dad was transitioning from active duty to retired military, he ended up getting stationed in Fairbanks, Alaska. I needed to save money for bills and such, so I ended up moving in with my family. The dj and producer that has inspired me the most is Carl Cox. The passion and energy he brings to his production and live sets is out of this world. Other artists include Claude Vonstroke, Fedde Le Grand, Green Velvet, DJ Sneak, Nicole Moudaber, and Deadmau5. What single night out has been the most memorable for you as a DJ? As an attendee? Hmm.. the single night that has stood out to me as a DJ was probably when I played at the In-Tents City Party at the ACW about 2 years ago. The energy in that room was awesome. Even got to play some of my original tracks. As an attendee it has to be when I got to attend the Movement Festival in Detroit this year. It was AMAZING. I was like a kid in a candy store. What advice would you give to other people trying to break into the scene? Work hard, practice a lot and network with everyone. Good advice! What is it that you love about the Alaska scene? Honestly, Alaska has been a tough state to push House Music on. Coming from Panama where you can find hundreds of people packing every bar that has headliners or just all locals playing house. BUT the good thing about Alaska is that when you do throw an event that is solely house music, the people that attend are all about it and that I do love. So is there something you try to communicate to the audience through your vibe? I just want everyone to have a good time. I loveeee house music and I try to express that in my sets with a lot of energy. Also I’m usually dancing during my sets too haha. How did “Late Night Munchies” get its name? Is it difficult to manage your own label? So the way late night munchies started is pretty random. I was sitting at home on a Friday or Saturday night and I didn’t have anywhere to dj in town, and I remember it being super late. I was just up eating candy, Twizzlers (my favorite) to be exact lol. 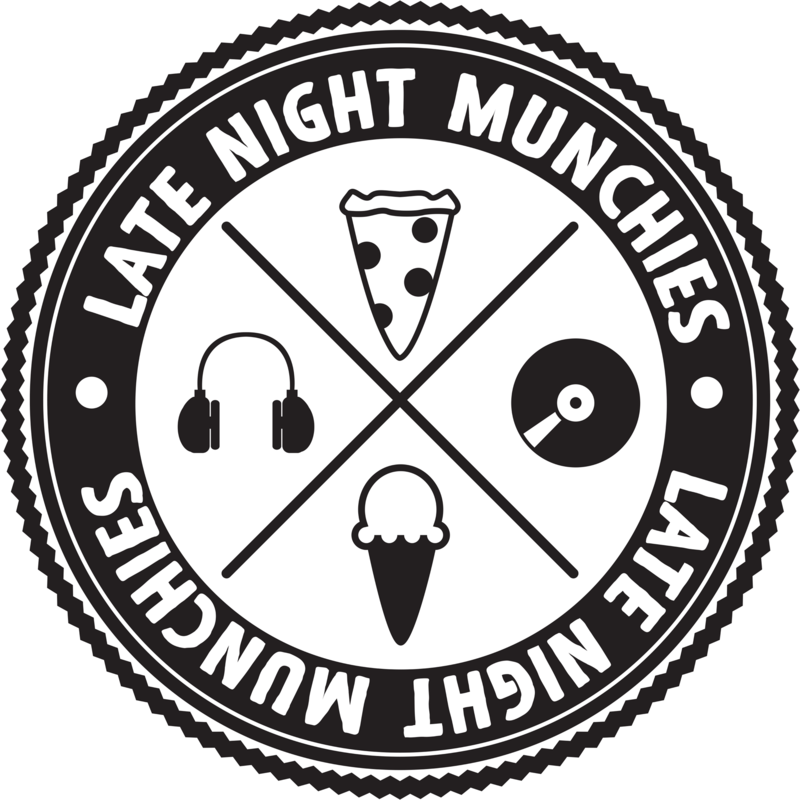 I decided to record a quick mix and I ended up calling it Late Night Munchies. A good amount of time flew by but eventually I met my girlfriend, Britt and she was kind of the driving force for me to turn what was just names for a mix into a record label. It definitely is challenging running your own label and I learn something new every day. What plans for the future do you have and where do you see yourself in 5 years? Well, my plan for the label is to continue to throw showcases as I transition from the Alaska scene to the Seattle scene and get the chance to work with groups like the Seattle Church of House Music, the Sorusty Collective, and the Seattle DJ Academy who on their own are doing amazing things for the house music scene in Seattle. I definitely want to bring more artist to be part of the showcase and have already been fortunate enough to have brought up Bacosaurus, who is on Audiophile XXL. Jason Burns, who is on Mark Knight’s Toolroom Records and Nervous Records. As for me, I plan to continue to improve my production skills and work with more artists and hopefully go on tour sometime in the near future. OK last question, do you think Harambe should have been tranquilized OR was his death justified?